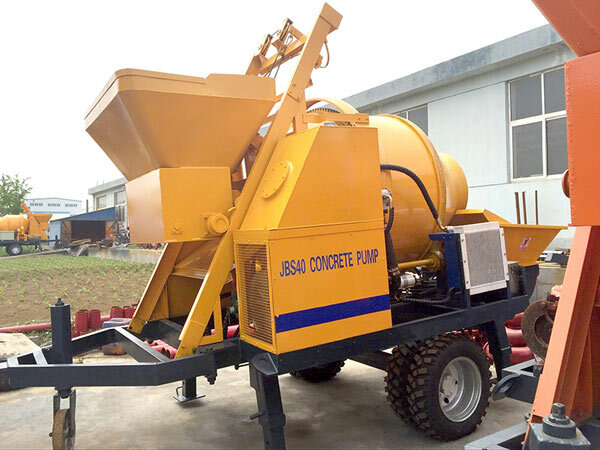 JBS40 electric concrete mixer with pump has been delivered to Pakistan recently, and our pump has worked well for the needed projects since putting into practice. Combined the function of concrete mixer with concrete pump, Aimix concrete pump mixer has wide range of application, high availability, top performance and long service life. In addition, we also provide other types of concrete pumps for sale, such as trailer concrete pump, truck mounted concrete pump, ready mix concrete plant, single shaft mixer, self loading concrete mixer and so on. Welcome to visit our factory in China at any time if interested and needed.